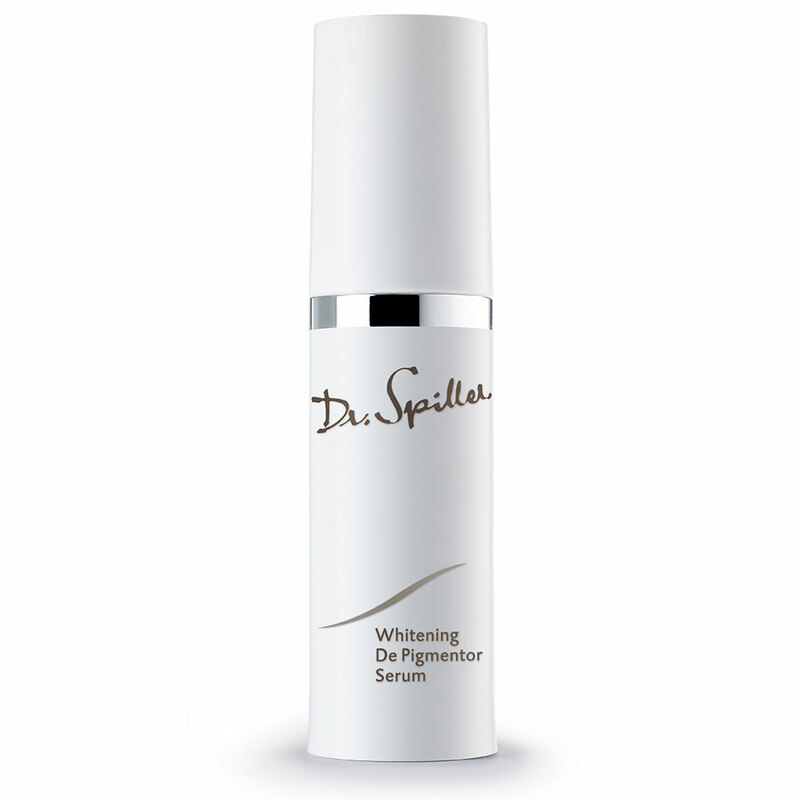 Visibly promotes the appearance of lighter, brighter skin and a renewed complexion. 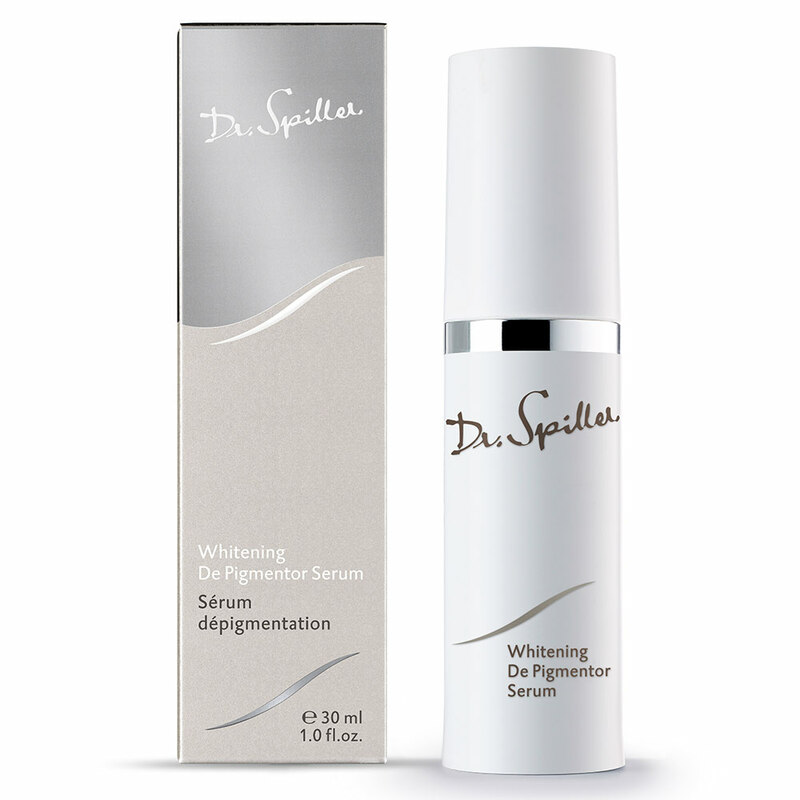 Botanicals rich in antioxidant flavonoids, polyphenols, tannins vitamins E & C.
Botanicals rich in antioxidant flavonoids, polyphenols, tannins and vitamins B1, C, E, & K.
AM and PM after cleansing and toning with the appropriate Dr. Spiller products, apply 1-2 pumps of Whitening De Pigmentor Serum evenly to the affected areas. 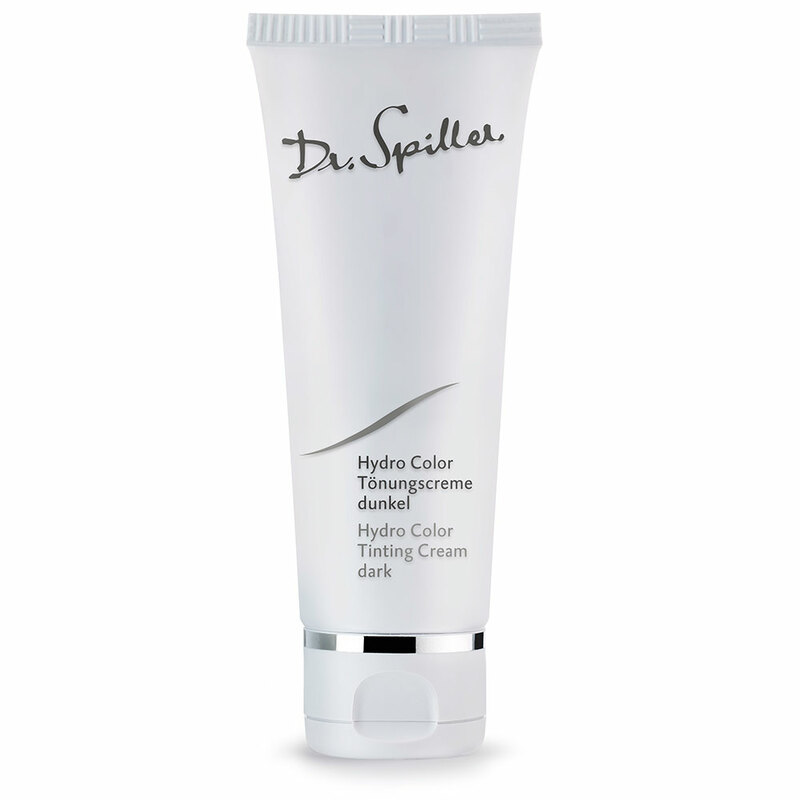 Follow with the prescribed Dr. Spiller eye, day or night Hydratain® solution. 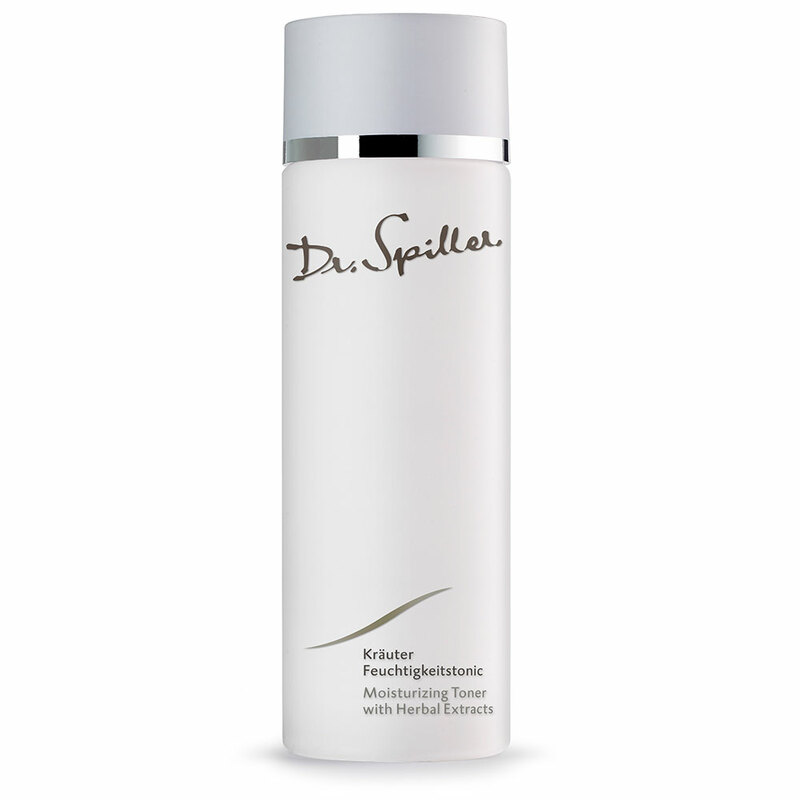 Skin brightening actives visibly promote the appearance of lighter, brighter skin and a renewed complexion. 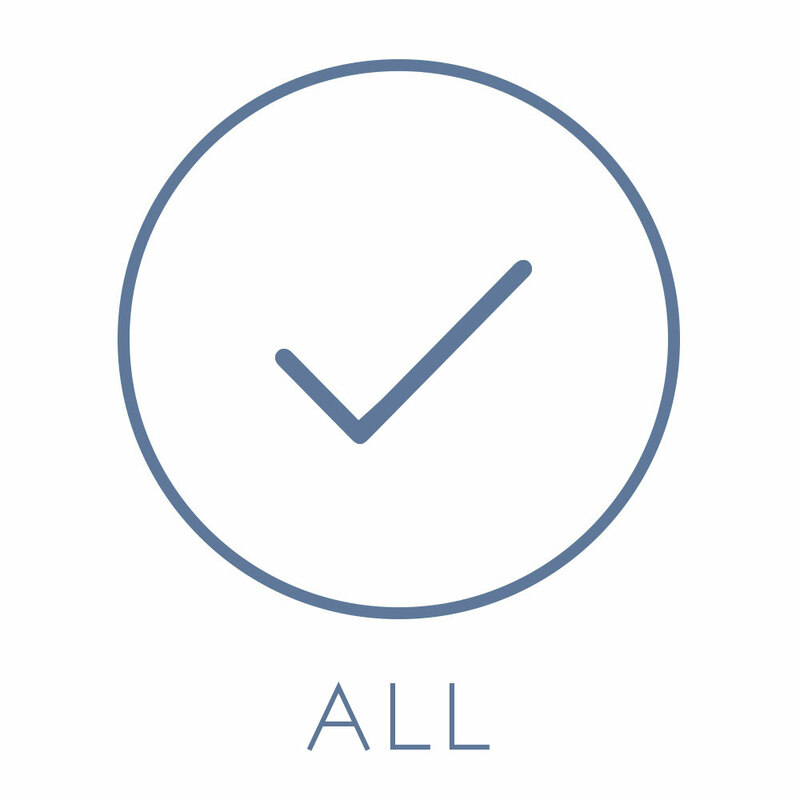 Antioxidants help protect from environmental drying. 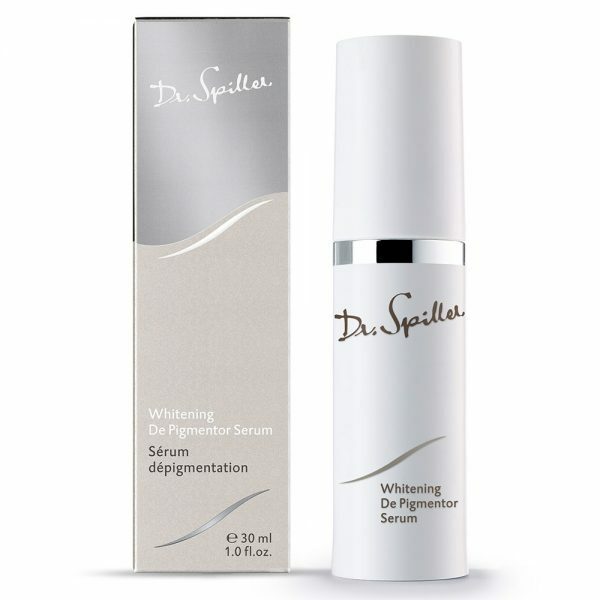 Whitening De Pigmentor Serum may be used on the décolletage, arms and the backs of the hands. A sunscreen must always be worn and re-applied every day.